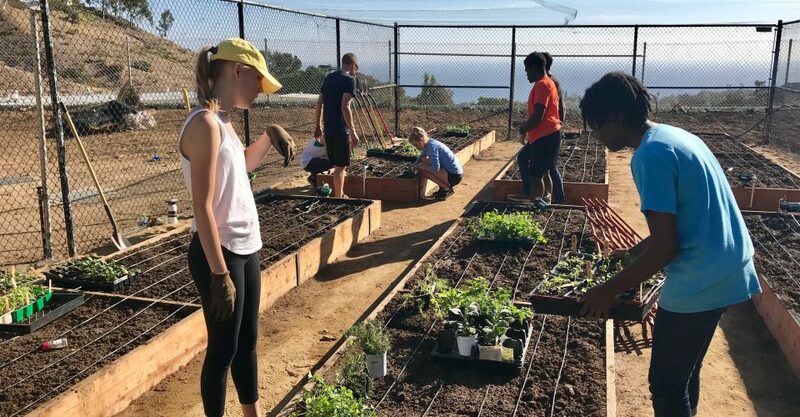 Pepperdine’s Green Team and the Center for Sustainability re-established the community garden after last year it had been removed due to the construction on the intramural field. Members of the Green Team and volunteers worked Saturday from 9 a.m. to 4 p.m., until the garden had been fully set up and seeds and seedlings had been planted. This involved shoveling dirt into raised beds, hanging a net on the top of the garden to prevent thieving birds and planting seedlings of lettuce, kale and others. The Green Team and the Center for Sustainability both want the garden to grow beyond involvement by members of the club. They envision the garden as being something the entire community can enjoy together. The community garden started off as a project in 2012 that was spearheaded by a former Pepperdine student and Green Team President Emily Rose, Emily Mead said, coordinator of the Center for Sustainability. The initial garden was built where the north intramural field is now. As construction on the field took place, the soil added to the site impacted the garden so much that they eventually had to remove it. After a few months the garden was rebuilt in a new spot below the field and with an ocean view, Mead said. When Tanaka first went to the site she said that initially it looked desolate but it had a lot of potential. “I thought it’s a really nice location; you can see the ocean from there it’s accessible in parking its a good location on campus that’s accessible, but there’s nothing there,” Tanaka said. The Green Team decided to incorporate the new garden location into their initiative to broaden the club’s appeal. “… for a long time the Green Team was just like the gardening club and so they wanted to rebrand and be known as more than just the community garden club so they’ve definitely changed over the years and now they deal with so much more than just the garden they’re really shaping sustainability on campus,” Mead said. The Green Team has been engaging in events such as a coffeehouse and sunset yoga to help broaden the appeal for everyone. Lizzy LeBleu, junior and co-president of the Green team, said the garden fit in with their new approach. “It’s kind of a metaphor for the entire club, we’re just trying to do it better,” LeBleu said. The Green Team planned a garden day where members and volunteers came out to help restart the garden. The supplies for the event and the renewal of the garden were donated by outside companies Mead said. Anawalt Lumber, One Gun Ranch and other donors provided the soil, seedlings, irrigation system and the tools to get this garden started Mead said. “I mean it would have cost several thousand dollars and we are only paying a small portion of it. 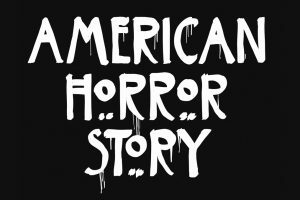 And that was all thanks to Lizzy, Emily and Heidi Bernard who works for Crest Associates,” Mead said. LeBleu said the turnout for the Garden Day was exactly what she was hoping for. Volunteers helped with all aspects of recreating the garden. Freshman Amiyah Lee said working on the garden was an interesting experience. “I thought it was interesting just to be able to get the full experience with how a garden is built and how to plan things,” Lee said. Freshman Annie Vander Mey said working on the garden provided a rewarding experience. “I think actually putting the work in to grow your own food is definitely more rewarding than just like buying something from the store,” Vander Mey said. Once the produce is ready to harvest Tanaka said that even though the Green Team is still in the planning stages, but she doesn’t foresee them selling the produce. “I think students will be able to take it depending on how much we harvest. I don’t see us having enough to be able to like serve it in the caf or even sell it, I don’t think we’re going to sell it,” Tanaka said. Sustaining the garden will fall to Garden Coordinator Charlie Wyffels the garden coordinator and the Green Team. They will look after the garden, but anyone is welcome to volunteer. “So Charlie is our garden coordinator and he is going to be making a schedule and so as of now, we’re just going to regulate it like the Green Team. Whoever wants to volunteer is like totally welcome,” LeBleu said. The Green Team and the Center for Sustainability said that they hope the approach of a broad appeal will encourage the garden to flourish. “I hope that it extends beyond the green team because we need a lot of involvement to keep it going and to keep it running well … I just want it to be viewed as more than just the green team’s garden I want it to be Pepperdine’s garden,” Mead said.